Forward Today: Merry New Year and Happy Christmas! This is a funny time of year. By now, all the stores will be on to Valentine’s Day. They’re always ready to sell you the next thing for the next occasion! But for Christians, it’s still Christmas. We keep this feast for twelve days, and our count just started on December 25. So while everyone was celebrating Christmas and shouting Christmas greetings for much of December, we were keeping Advent, preparing ourselves for the party. So let’s have the party. It’s not too late! Today is the tenth day of Christmas. Wish someone a Merry Christmas today, and see what strange look you get in return. Have a conversation about how we celebrate the wonder of Jesus’ birth for a while, especially when we’re not distracted by gift-buying and gift-receiving. Of course, it’s also the new year. We celebrate…using a new calendar. OK, really what we are responding to is the human desire to start over…again and again. New year’s resolutions are the secular equivalent of repentance, and repentance is always a good thing. So why not add that? Meanwhile, people who work in churches will be thinking about…Lent! It’s just over a month until we move into a season of preparation of Easter. It hardly seems possible, but there it is. So while the stores want us to buy things for Valentine’s Day on February 14, we will be thinking of February 14 as Ash Wednesday. Not exactly a gift occasion! Don’t get me wrong, I have nothing against Valentine’s Day. Aside from the fact that he’s a possibly made-up saint and that the day can elevate unhelpful ideas of romantic love, it is also another opportunity to talk about love, and that’s always helpful. So why not celebrate Valentine’s Day too, if you like. (Just don’t bring chocolates to church when you go for your annual ashes.) Oh, and look up St. Cyril and St. Methodius. Those are the amazing saints the church celebrates on February 14, and they’re even more interesting than St. Valentine. So, happy new year/Christmas/Lent/Valentine’s Day. Celebrate whenever you can, repent when you are able, and keep Jesus in the center of it all. 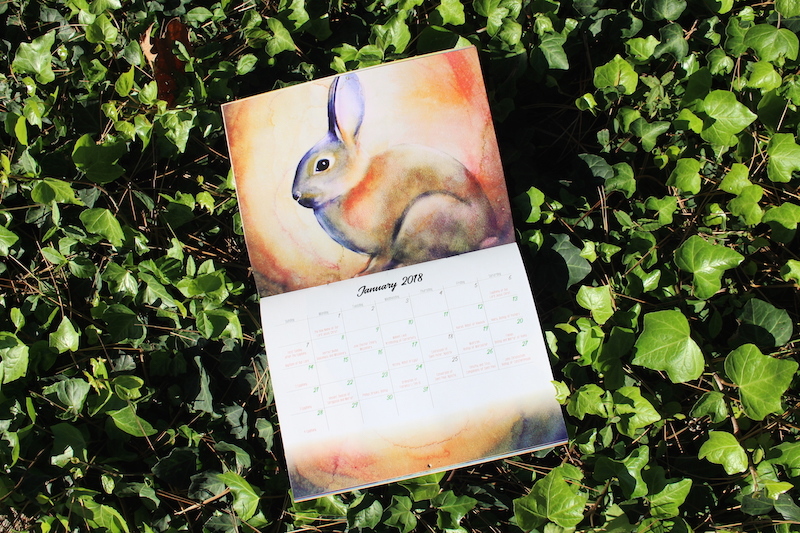 Our featured sale product is the For the Beauty of the Earth Wall Calendar—now just $5. It’s not too late to start enjoying this beautiful liturgical calendar—a companion to the daily devotional For the Beauty of the Earth, featuring the watercolors of Kathrin Burleson.